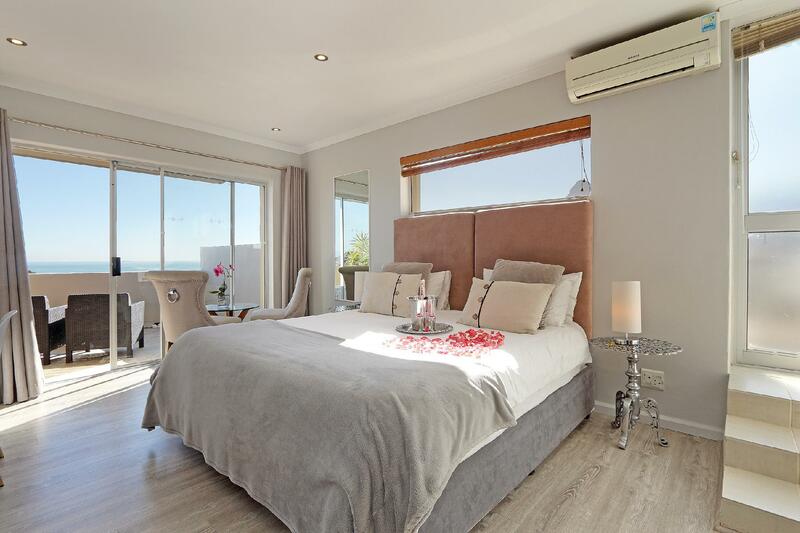 ﻿ Villa Atlantica Boutique Hotel Cape Town. JIMAT di Agoda.com! Ada soalan mengenai Villa Atlantica Boutique Hotel? 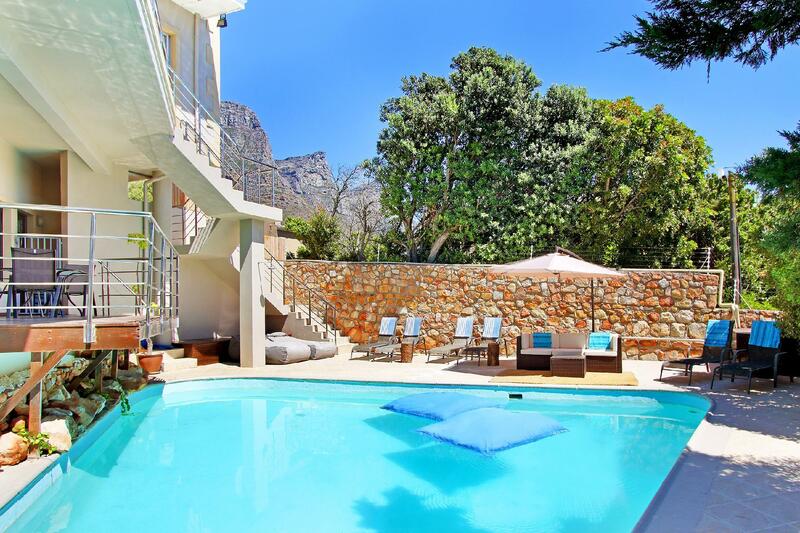 Terletak pada kedudukan yang baik di Camps Bay, Villa Atlantica Boutique Hotel adalah tempat yang sesuai untuk memulakan lawatan anda di Cape Town. Terletak hanya 8.0 Km dari pusat bandar, para tetamu berada di lokasi sesuai untuk menikmati tarikan dan aktiviti di sekitar bandar. Dengan tarikan utama di bandar ini seperti Tempat Sukan Teluk Camps, Cine 12, Spa Sanctuary berada pada jarak yang dekat, pengunjung hotel pasti akan menyukai lokasinya. Menawarkan tetamu hotel perkhidmatan yang unggul dan pelbagai kemudahan, Villa Atlantica Boutique Hotel komited untuk memastikan penginapan anda berada di tahap seberapa selesa yang mungkin. Hotel ini menyediakan akses kepada pelbagai perkhidmatan yang luas, termasuklah Wi-Fi percuma semua bilik, pengemasan harian, dapur, simpanan bagasi, Wi-Fi di tempat awam. Semua bilik tetamu menawarkan pelbagai jenis tahap keselesaan. Banyak bilik turut menyediakan televisyen skrin rata, internet wayarles, kolam renang peribadi, internet wayarles (percuma), tab mandi pusaran air untuk memuaskan hati tetamu. Sepanjang hari anda boleh menikmati suasana yang santai dengan denai kembara, padang golf (dalam jarak 3 km) , kolam renang terbuka. Nikmati perkhidmatan yang sukar ditandingi dan lokasi benar-benar berprestij di Villa Atlantica Boutique Hotel. Harap maklum hotel ini telah mengehadkan waktu pendaftaran. Anda perlu menghubungi terus ke hotel untuk memberitahu anggaran waktu ketibaan. Daftar masuk lewat perlu diaturkan terlebih dahulu kepada pihak pengurusan. I had a great stay beautiful view. While the accommodation was good, unfortunately the air-conditioning was very noisy. Despite it being very hot we had to turn our air-con off. Unfortunately this did not help much because the external air-conditioning unit for the apartment next door was right next to our balcony and despite the door being closed it made a lot of noisy. In the end we did not sleep much and were tired and grumpy. If you like to be kept awake by wind shaking the glass, sleep on the hardest and smallest beds in town, and only enjoy mountain views if you stick your head up outside and look sharply up over the apartments looking over you then this is the place for you! Unfortunately doors didn’t close and if you paid extra for the sea view then you do enjoy it once you see over the neighbours roof... The great part is the laundry service and lovely cleaning crew. Thank you for your review. I'm sorry you did not enjoy your stay with us. In order to get uninterrupted sea views you would obviously need accommodation on the beach, which is at least 5 times the cost of our accommodation, but that would probably be better suited? This place is good for couples who want to be close to the beach. What I think needs to be added is the breakfast, and one thing that stood out to me was seeing the sunset over the sea. This is a brilliant boutique hotel which is run by the family that stays right there. The rooms are all on the first floor with splendid views of the sea and the mountain; it is worth getting the sea-view rooms. Sea-view rooms have balconies that make a wonderful setting in the morning and evenings. We were greeted by a very cordial staff member who got our rooms ready before time, which was a great after a long tiring flight. The room itself was large and very well equipped along with a jacuzzi hot tub. There is a common area that has seating area, dining area and a fully equipped kitchen along with a washing machine and drier. What's more is an outdoor area with barbecue. There is also a pool for all to use. Mr Amir, the owner was a gentleman and was very helpful with getting us to know the place, areas to eat and moving around the area. He vouched for it to be perfectly safe even at midnight, though the area does go quite. Please do note that the place is a 15-20 min walk from the beach, which is uphill on the way back. A hot breakfast being included would have nailed it but nonetheless, no complains and would love visiting again. if there one country I will never get tired of visiting. that would be cape town SA. and villa Atlantica is the place I would definitely stay in. We had a wonderful stay at this hotel, Just a great weekend break for my partner and I with the right amount of comfort, luxury and everything needed. Well-presented, good amenities including bigger range of DSTV than most guest houses, within walking distance to beach. A lovely stay, good welcome, lots of restaurants/cafes nearby. LAmir was great at waiting for us after arriving there late. The room was spacious and very clean, Amir was extremely helpful which made our stay magical. I can highly recommend our hotel. thank you . Loved our stay at Villa Atlantica, thank you so much for making our trip magical. spotlessly clean, well equipped, tranquil environment- great for de-stressing and unwinding. allows you to be yourself. superb! Managed to catch up on peaceful sleep. I came back perfectly recharged and relaxed. We checked in really late from Jo'burg. We were greeted by Tali's husband and check-in was a breeze. The room was comfortable, spacious and most importantly clean. It did not hit us until the next morning that the view from our room is gorgeous. We had a lovely take-away breakfast on our porch. We met Tali the next day and she was super helpful. She helped us with our Table Mountain hike plan. I wished she could convince my partner to take the cable car up, and hike down though, instead of the other way round. I gained a bit of weight from the trip, (South Africa has too much good food! ), and my partner was adamant that we hiked up instead. Haha! We also got to meet Tali's adorable baby girl. There are a lot of restaurants nearby. We ate at at V/A Waterfront, which is about 20 mins drive away. We wanted a quiet, serene stay, and Villa Atlantica provided us with that. All in all, we felt like we were home and, therefore would recommend Villa Atlantica to our friends. Great. Very clean. Great views all around. Close lots of attractions. Short cab ride to down town. 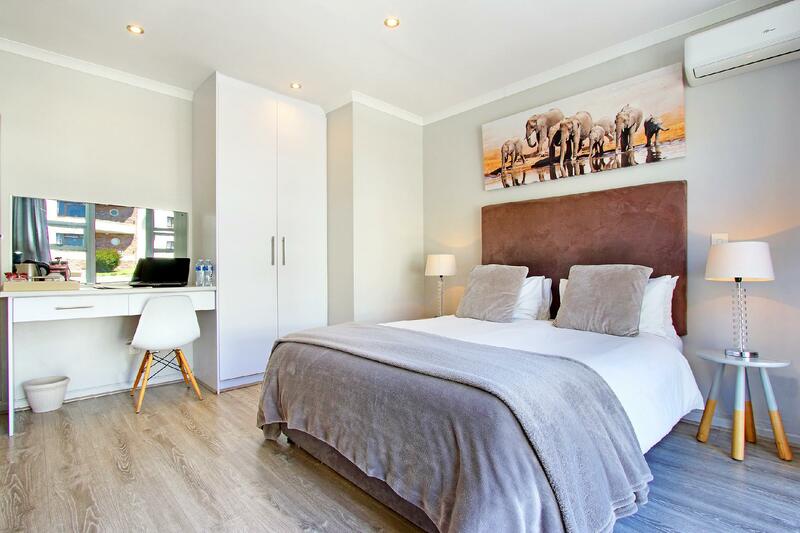 Nice guesthouse within walking distance to Camps Bay beach and restaurants. Rooms were clean and large with a big balcony overlooking the ocean, great sunset views. However all balconies are joined therefore offering little privacy, and our room was right next to the shared lounge room and kitchen. Luckily there were very few other guests at the time we stayed but if there had been, it would likely have been very noisy as rooms are not very sound-proof. Windows and doors also rattle heavily in the wind at night which made it hard to sleep. Not really four-star luxury as advertised, but a good choice if looking for a more affordable option still within Camps Bay.